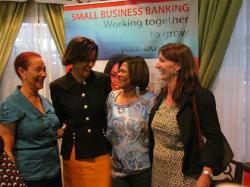 Women Business Owners Ja. Ltd. (WBO) hosted a Networking Event for its over 300 associates who are members, beneficiaries of its IDB-funded national project, and their guests at the Knutsford Court Hotel on April 19th. The event was another milestone achievement for the organisation, as the room was filled almost to its capacity with women owners of businesses from various industries and ages. 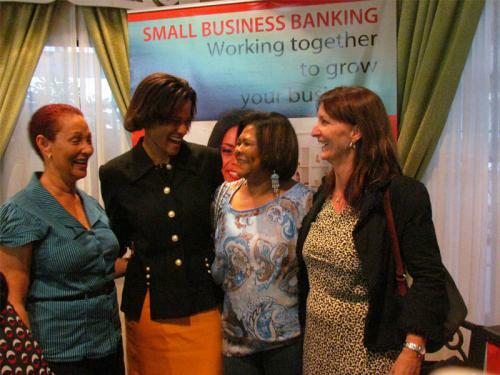 The networking ' mix and mingle ' also introduced WBO's partnership with Scotiabank and Columbus Business Solutions , the new main sponsors of WBO's Strengthening and Promoting Women Entrepreneurs in Jamaica Project, funded by the Inter-American Development Bank. Gore Developments Limited also came on board as an event sponsor. According to Monique French, Scotiabank's Senior Vice President of Credit Risk Management , " We are very exciting to be partnering with such a productive set of entrepreneurs. We have had a long history of doing so, and decided that this would be another good opportunity to continue the legacy, especially given that women owned businesses are known to add fire to the economy. " Scotiabank will be the lead sponsor of the WBO project until its completion in early 2013. 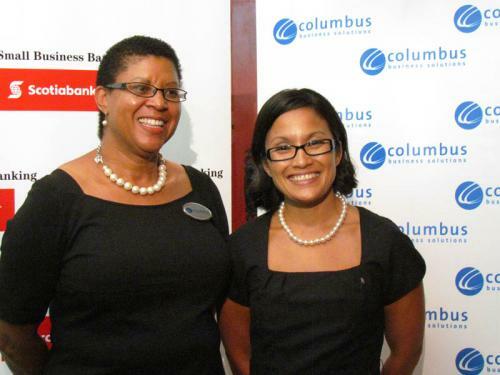 Jeanette Lewis, Public Relations Manager at Flow who has signed on as another main sponsor via Columbus Business Solutions, stated: " At Columbus Business Solutions, the business arm of Flow , we recognize that women business owners make a significant contribution to economic growth and development in Jamaica. It is important to us to enable the work of micro, small and medium enterprises by ensuring that these entrepreneurs have access to the appropriate resources that enable the strengthening of their businesses ". 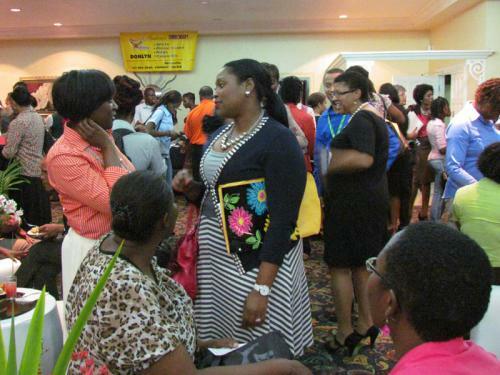 WBO Vice President and CEO of Lillan Limited, Andrea Cowan, noted the importance of hosting such an event for women in business , who are particularly in need of opportunities to mingle and make business connections in a comfortable and relaxed environment. Attendees were no doubt notably enthusiastic about the affair. 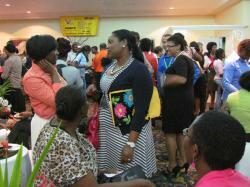 According to patron Ingrid Coke of Mapco Printers Limited , " The event has been an excellent opportunity for women business owners to showcase their businesses and to network "
Yet another attendee , Shaun Grant, Owner of Sage Delights, who displayed a massive, intricately designed WBO-branded cake which left much of the room in awe upon its debut, revealed that it was mentorship she received through WBO that gave her the push to expand her small business.